Environmental protection and inland waterways maintenance create a sustainable future for our rivers, but also supports economic activities for agriculture (transport of crops faster to the market and silt for soil improvement if it is not contaminated) and transport of goods from the main ports to the country behind it without creating congestions on the main roads and at lower costs. 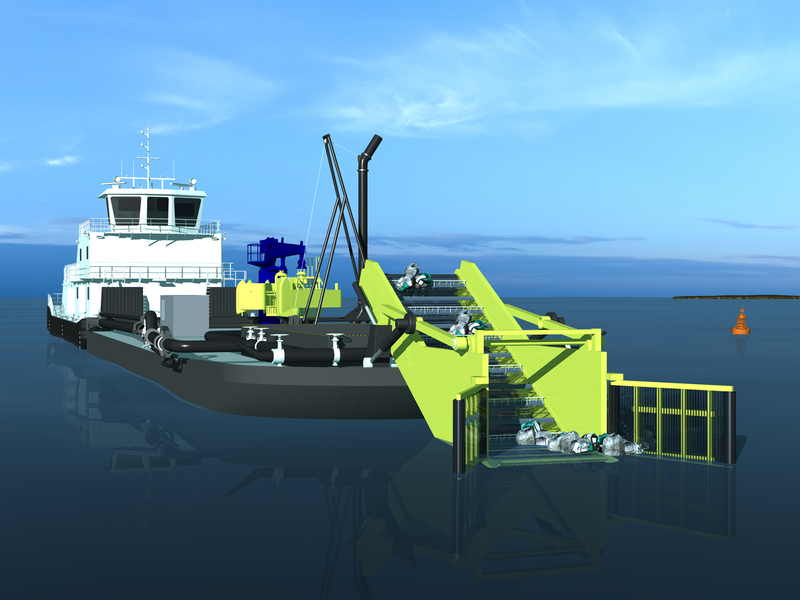 As Push-boats and barges are in general sufficiently available in areas where river transport is day to day business, a barge can be equipped with multi-functional equipment for Garbage removal, Maintenance dredging and if an accident happens can even perform oil spill removal services without investing in purpose build vessels for each activity. 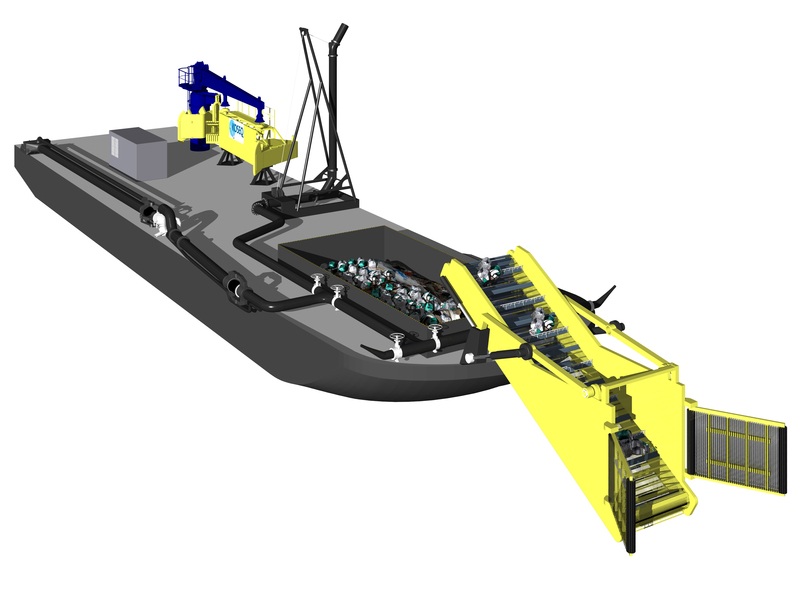 Depending on the expected quantities of debris in the river the collector can be 150 m3 or 250 m3. 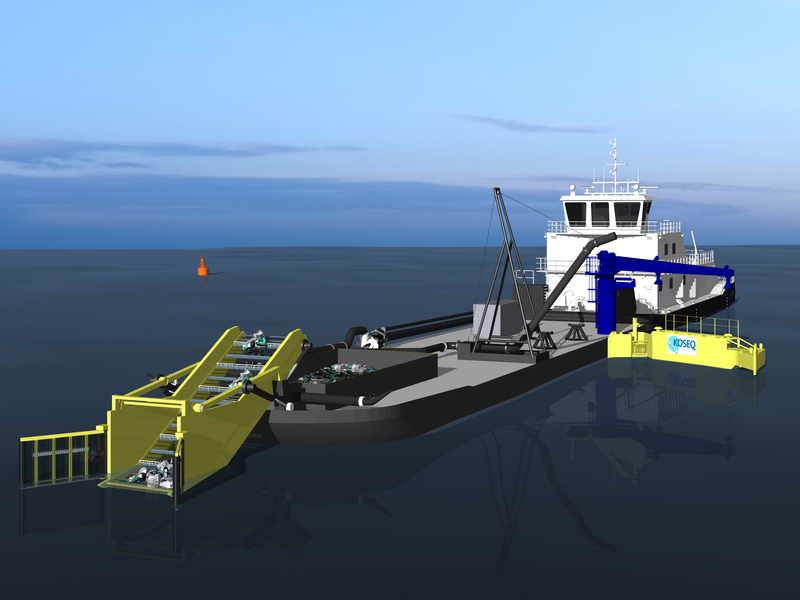 Discharge can take place at a discharge location by shore crane or a small hydraulic crane with grab can be used for discharge at a remote location. Trucks will finally transport the garbage to a local disposal facility. 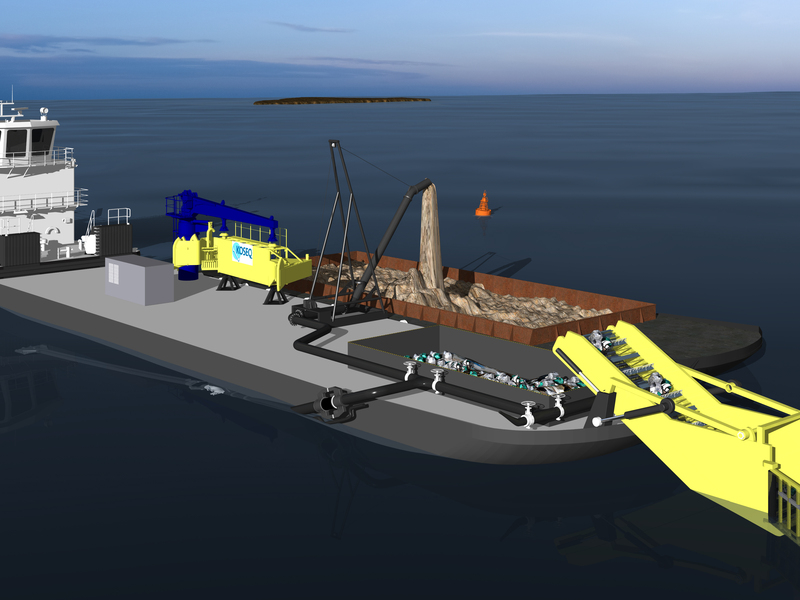 Maintenance dredging can easily take place using local barges that can be unloaded by a shore stationed excavator with an hydraulic grab, or pumped into a settlement pond using a submersible dredge pump mounted on an excavator. If the rivers are very narrow and thedredge material proves to be clean and containing nutrients it can be pumped directly on the riverbanks using one of the two rainbow nozzles directed to the side whilst dredging. board. 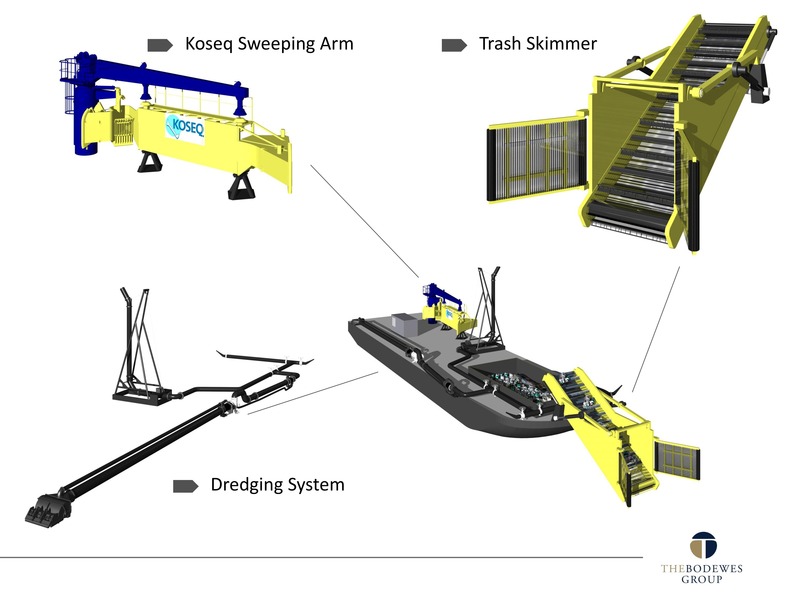 This will not only reduce the amount of mixture to be processed at the disposal facility but will also increase the amount of time the vessel is available for cleaning operations thus reducing the chance of more devastating impact on the environment. Storage for Debris: Approx. 150 m3. Storage for Recovered Oil: Approx. 90 m3. Suction Pipe Diameter ø 350 mm. 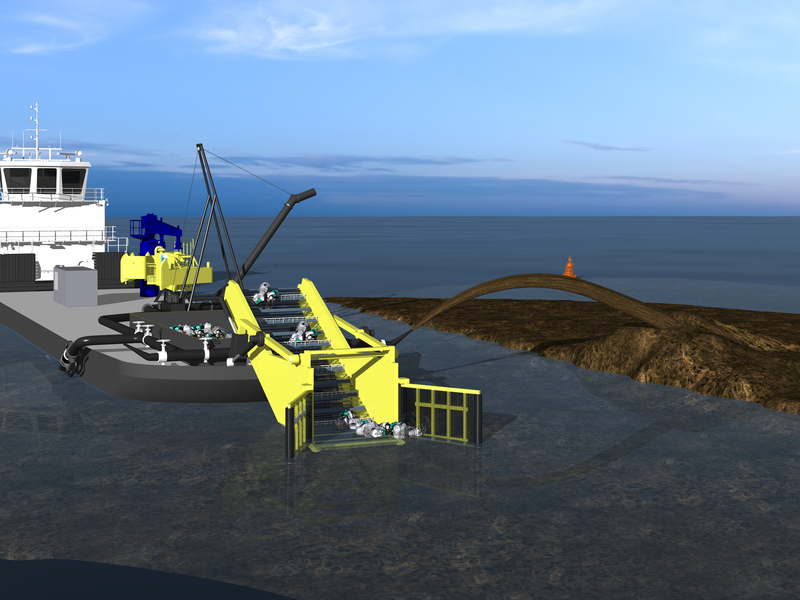 Pump, Submersible dredge: 360 kW. Rainbow nozzles: 2, hydraulic operated. Skimmer Type: Weir or Brush. Skimmer Pump: MSP 150, capacity 360 m3/hr.